Greetings one and all! I'm Alli Medwin from the Magic Online design team, and as usual, we've got a new set coming down the aether tubes for you. 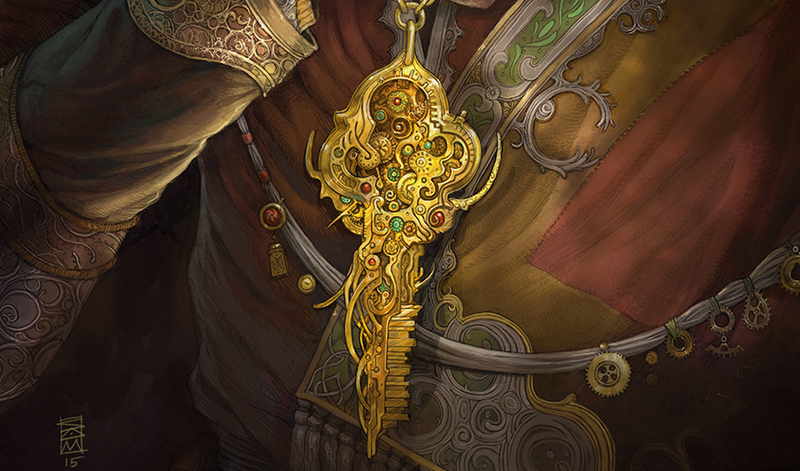 Kaladesh is one of the most exciting sets in some time: a bright, fresh world with shiny new devices and shinier new mechanics. One of my favorite parts of my job is walking through some of the changes for each release in this article series. So let's get to it, looking at what's new for Magic Online with Kaladesh! The most dramatic change to the client with this release is a change to the way keyboard shortcuts function. The short version: by default, players won't need to use the function keys (like F2 or F6) for basic game functionality. I want to stress that no functionality was removed, and current players won't have their settings changed. We're also not taking away players' ability to change their own keyboard shortcuts however they like in the Account scene. This change only affects new players, new installations of the Magic Online client, and those who choose to click "Restore Defaults" to opt into the new keyboard scheme. More importantly, and this will benefit everyone, you're going to have the most commonly used shortcuts available at a glance within the Duel Scene. The longer version: function keys are decidedly suboptimal for core game functionality for a number of reasons, and that's why modern computer games don't tend to use them. Magic Online gets played on a wide variety of Windows computers, and many laptops simply don't have dedicated physical keys for the function keys. Players playing Magic Online on one of those machines were faced with the prospect of holding one button while pressing another every time. 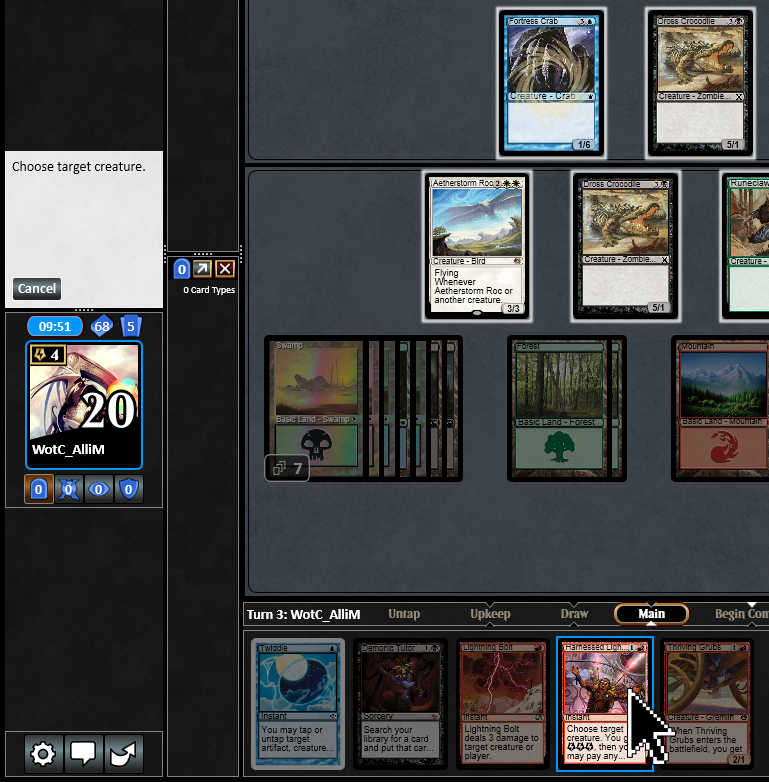 Given how many priority passes there can be in a game of Magic Online, this can quickly become a chore. Even for those who have larger keyboards, holding a finger or hand over the function keys isn't as comfortable as holding a finger over a lower key, like a numeral or letter. When I'm holding my hands in rest position, I can't even reach the function keys without moving my hands. And I'm not the only one. Whether you're hovering or reaching for the F6, it's more work than anyone needs to expend. This is certainly a change that will take some getting used to. People say "eff six" as a verb all the time, and I don't expect that will realistically change. I'll still probably say it to my opponents at Friday Night Magic. But now it won't be quite a stretch. Because the function keys are far away. ...Anyway. As I said, there's no functionality loss. Here's a helpful table showing the keyboard shortcuts as they were prior to Kaladesh and their new defaults. Hold to Auto-Mana M W When held, left-clicking a permanent with multiple mana abilities will automatically use the first available mana ability. Primary Action Left Click Left Click Most common function, used to cast and activate spells and abilities, choose targets, assign attackers and blockers, etc. But you don't have to memorize this table. It's built right into the game now. This overlay that appears on the bottom of your hand is open by default. One of the other benefits of this overlay is that it makes discoverable something that hasn't always been: in the past it wasn't clear that these keyboard shortcuts exist. I've talked to lots of players who have never used the Auto-Pass mode (old F8, new 8) simply because they didn't know it existed. Now, hopefully, everyone will know and use shortcuts as they see fit. Once you know what you're doing, you can close the overlay with the down arrow, minimizing it to an icon in the corner. You can reopen it again if you want to. It's always there for you. And it's always accurately displaying what your current keyboard shortcuts are. As promised, your current keyboard shortcuts aren't changing, whether they were the old defaults or an old set of custom shortcuts you devised. To change the bindings for the keyboard shortcuts at any time (even mid-game! ), visit the Account Scene, then click Input Settings on the left menu. As we tested several drafts of the new shortcuts, we knew when we hit the right ones because we just really didn't want to go back. The keys felt natural, comfortable, and didn't require nearly as much hand and arm movement. Give them a try, and let us know what you think. "Oh man, this is sweet but people are going to misclick these on MTGO and then they'll be sad." That was my playtest reaction to Vehicles. Fortunately, we've done a similar thing before with Mossbridge Troll. That was a pretty big leg up on implementing Vehicles online. With the "tap a bunch of untapped creatures and count their power" code already existing, we only needed to define how a Vehicle's latent power and toughness would work (noncreatures with power and toughness? ), create the new frame, make sure that effects that turned a Vehicle into a creature without defining power and toughness worked and...well, okay, there was a lot that went into them. Behind the scenes, they were complex and implementing them took a reasonable amount of work. Most new mechanics do. What's interesting, and what I want to stress, is how they work online: exactly as they do in the rules, strictly and without shortcuts. If you want to attack with a Vehicle, you need to crew it before the declare attackers step. If you want to block with a Vehicle, you need to crew it before the declare blockers step. If you have a Skysovereign, Consul Flagship, and you want that 3-damage trigger, I recommend either crewing in your precombat main phase or setting a stop for the beginning of combat step. If you want to block with a Vehicle, you can crew it after you see how your opponent is attacking, but only while you're still in the declare attackers step. 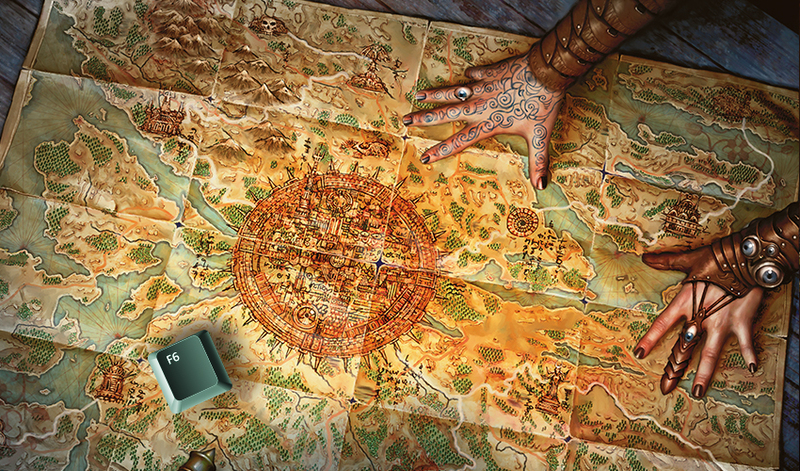 One of the virtues of Magic Online is that it teaches people the rules of the game at a deep level. Experienced Magic Online players often have a lot of success at the highest levels of organized play because they know exactly what's going on at any point in the game. This kind of strict rules enforcement is part of the design goal of faithfully translating the paper game of Magic to the digital experience of Magic Online, but on this specific point, it's a steep learning curve. Take care not to fall off the edge. Magic design is often concerned with creating depth of gameplay with components as simple as possible. Harnessed Lightning is one such example: it gives you three energy, then lets you spend energy to damage a creature on a one-for-one basis. If you're playing an energy-heavy deck, you can use it as an enabler, destroying a small creature (or not!) to pocket some energy for later. Or you could use it as an energy payoff, destroying your opponent's Aethersquall Ancient for only two mana. 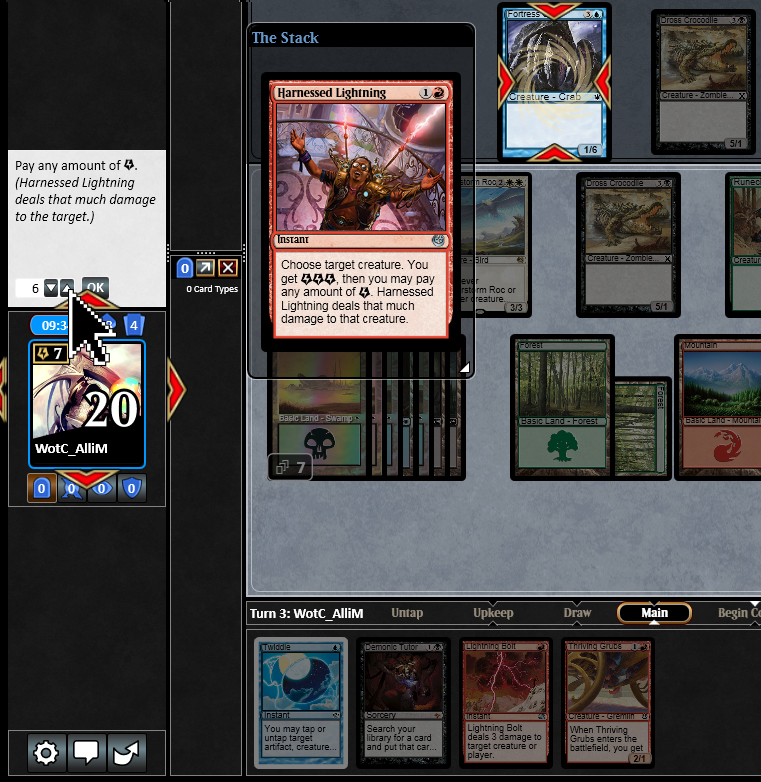 When translating a card like this into Magic Online, though, there are user interface considerations. Obviously all options need to be available, but the option that we need to support first is the most common use case: how are players most commonly going to use the card? How can we enable the common use without making uncommon uses difficult? Let's briefly walk through how the interface works, then talk about the logic. One thing to note: Die Young works exactly the same way, so everything I'm saying about Harnessed Lightning applies equally to both. ...then decide how much energy to spend using a number spinner in the prompt box. Note that the amount of energy that I have in this image shows up on my avatar. Energy is a counter on a player, after all, and so it appears in the same place that experience and poison counters show up. Energy is also an important resource, and some percentage of the time, a player will cast Harnessed Lightning targeting a creature they're not intending to spend all three energy to kill. Or maybe the plan changes between casting the spell and having it start resolving. Whatever the thought behind the ultimate decision, there needs to be a default value to the question "How much damage do you want Harnessed Lightning to deal?" The safest assumptions, which are only mostly safe, are these two: players will generally cast Harnessed Lightning only when they want to deal a nonzero amount of damage, and players will generally not want to deal more damage than a creature's toughness less the damage already marked on it. Now these assumptions are definitely not always true. 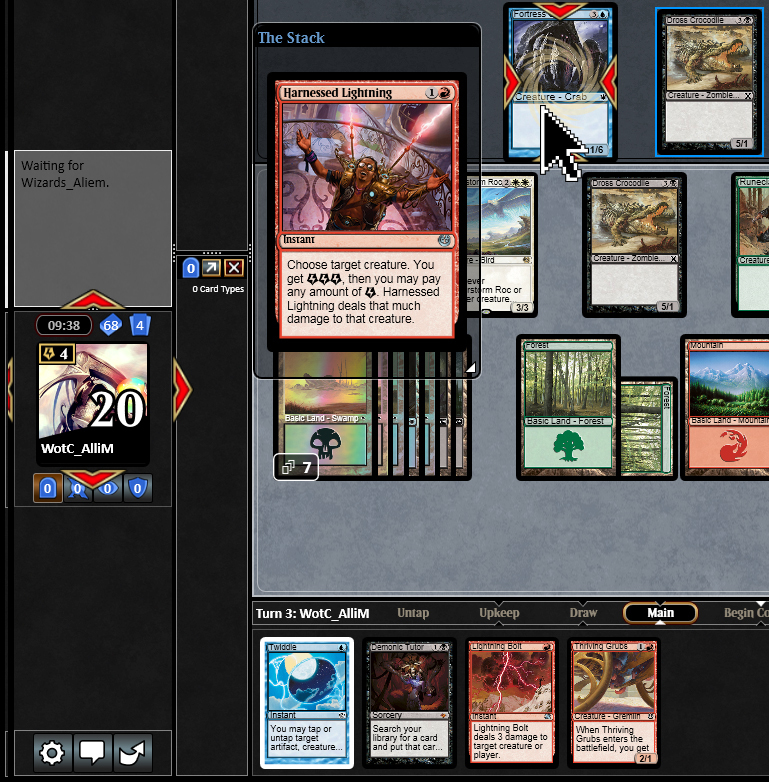 In Standard, if my opponent targets a creature of mine with Harnessed Lightning, but I sacrifice my Selfless Spirit, most opponents are not going to bother paying energy to try to destroy my now-indestructible creature. Or if I've also drafted an Aethertorch Renegade and my opponent's at 5 life, I probably won't mind casting "1R instant, gain three energy," especially if the next thing I do is activate an ability that wins me the game. That number spinner does have to start somewhere, so to match the most common use cases it'll start at the amount of damage it'll need to do to kill the creature (toughness minus damage already marked). If the player doesn't have enough energy, though, it'll start at maximizing damage and using up all the player's energy. If that's what you want to do, just click OK. If you want to change it, though, the number spinner can be quickly changed, either with the arrows or simply overwriting the default number with one you type in. As usual, there's plenty of interesting little things going on with the set that we were able to include. In case you weren't aware how Midnight Oil and Midnight Oil interact, there's some helpful text telling you what your actual hand size is. (Only the newest Oil counts.) Aetherborn Marauder is a card that doesn't fit into every deck, but when it does, you're going to want to move lots of counters onto it—so we put a button that lets you move all of them at once. As usual, if you have comments or questions, you can always ship them to the Magic Online team at the official Tumblr, or via email to MagicOnlineFeedback@wizards.com. We're always happy to hear your feedback. Until next time, when I'll have a commanding display change to show off!